WEST PALM BEACH, Fla.- Officials from the International Hot Rod Association (IHRA) announce the addition of a “Sportsman” class to the IHRA Summit SuperSeries program beginning in 2019. The Sportsman class is open to door cars only (12.00 & slower in the ¼-mile and 7.50 & slower in the 1/8-mile). The use of trans brakes, two steps, and delay boxes are prohibited in the Sportsman class. 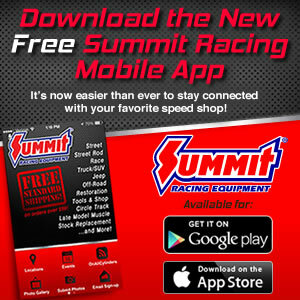 Sportsman racers who win Summit SuperSeries track championships or Summit Team Finals events will be invited to compete at the Summit SuperSeries World Finals October 17-19 at Memphis International Raceway for their chance to win the first ever Sportsman National Champions and a $5,000 payout. For the complete list of Sportsman class rules click here. For more information about Summit SuperSeries and the eligibility requirements of qualifying for the Summit World Finals click here.